Hey friends! 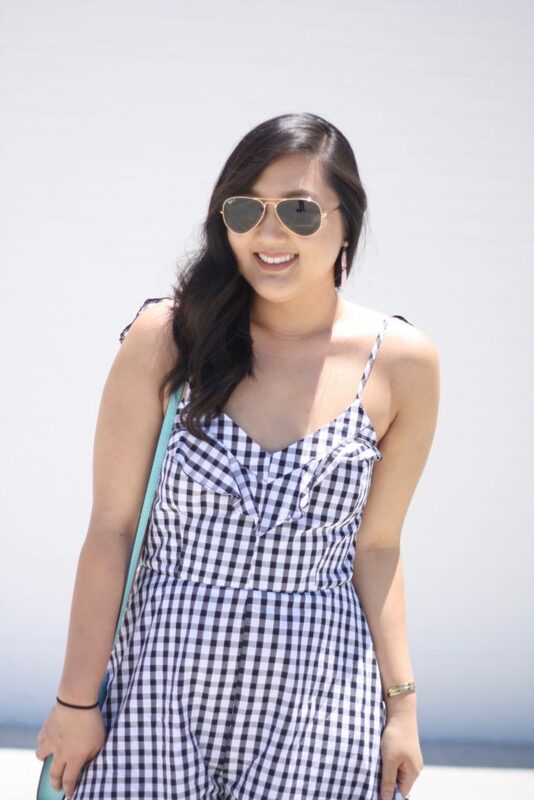 Today I’m talking all about the print of the season–GINGHAM. I don’t know where you guys live, but here in Dallas… Summer is upon us and it’s a love/hate relationship. I love the beautiful sunny days out on the patio (with a fan of course) but hate getting back in my car with scorching hot leather seats burning my legs!! Where do y’all live?! Is it hot AF there too? So if you’ve kept up with me on my Instagram (follow me @nickievu if you haven’t already!) lately, you’d see that I have got a seeerious gingham obsession that continued on from last Summer. It’s getting a bit out of control. 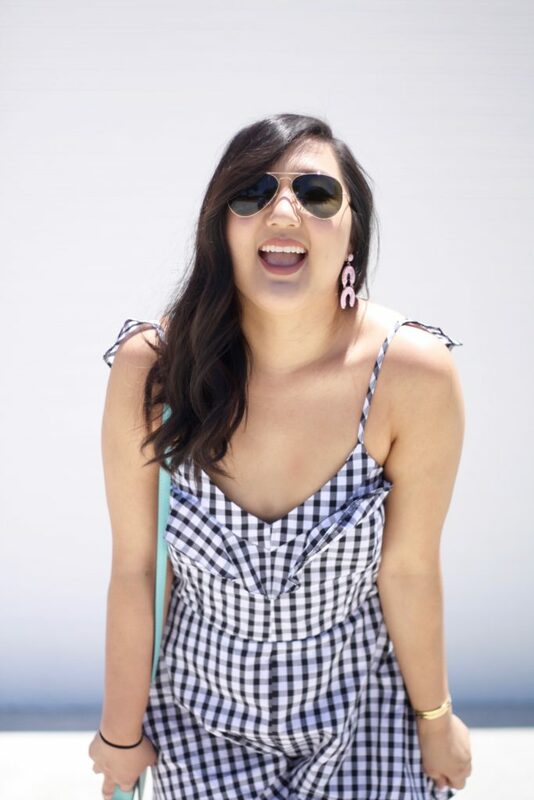 It’s such a trendy and fun print for Spring and Summer and girls everywhere are gingham-ed out! In my opinion, it’s a flattering print on anyone whether it’s a top, skirt or dress! 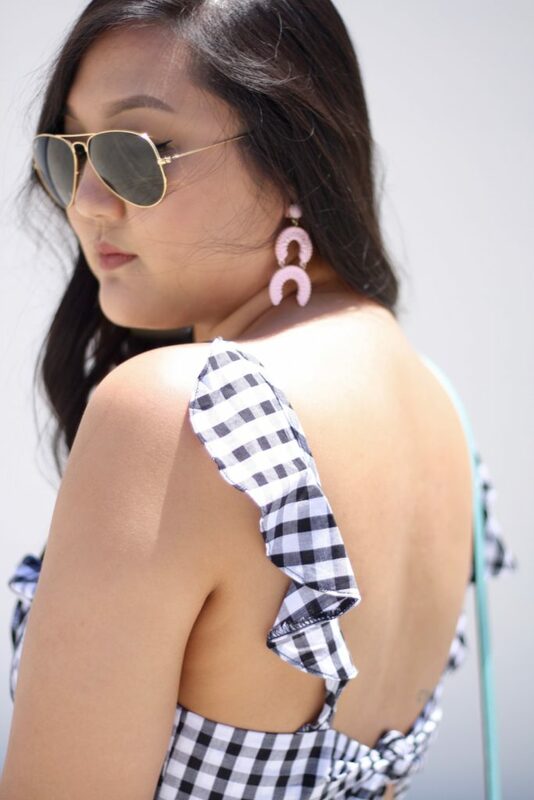 My favorite style is a gingham off-the-shoulder top (I own like 6… oops). Pair it with jeans, ripped shorts or a denim skirt and you’re set for a date with babe! For work, throw on a gingham skirt (like this one!) 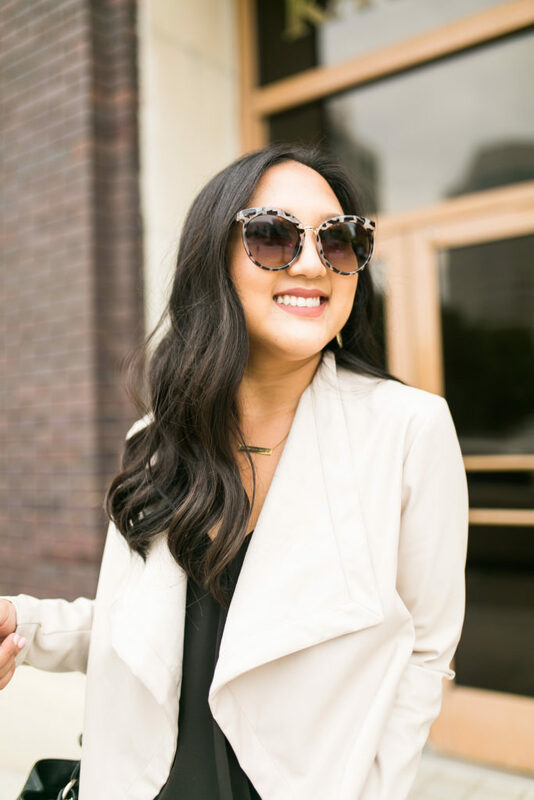 with a v-neck cami and black blazer and you’ve got a professional yet super cute look! 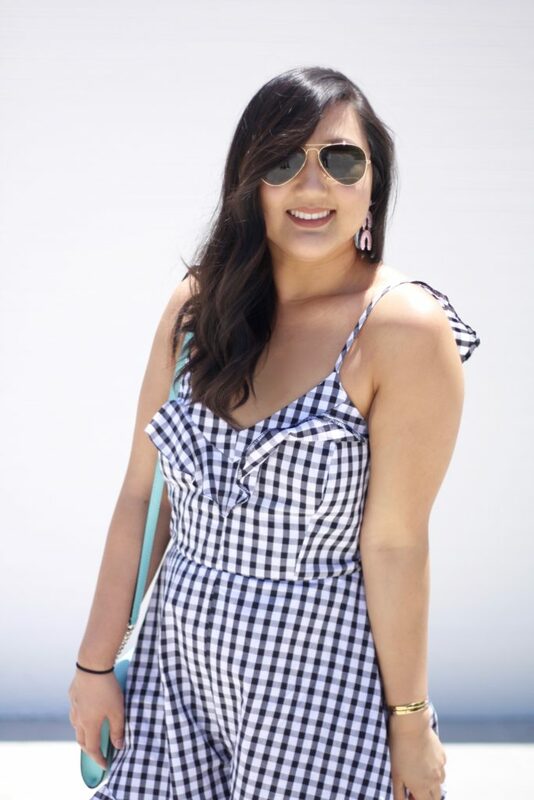 I’ve linked tons of different types of gingham items below. Shop each item by clicking on the pictures and it’ll send you directly to the website to shop!! Enjoy my top picks and let me know your favorites!